When I was younger I remember listening to a Brian Tracy CD. I don’t remember which one, but I remember one specific thing that he said and it obviously had a huge impact on me because now years later I still remember it. What was he talking about? Multiple streams of income. Do you know how many you have? I have 2 streams at this time and I want to add more. 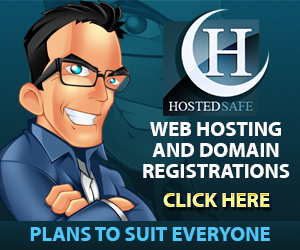 I’ve got my own products and affiliate marketing. 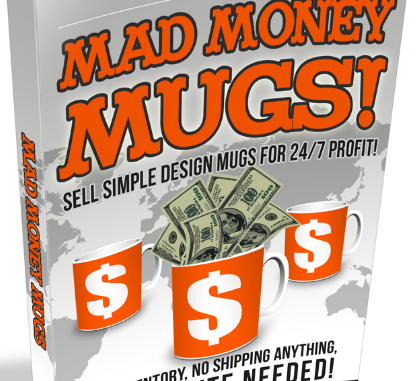 One income stream that I’ve been interested in is creating mugs, journals or t-shirts. 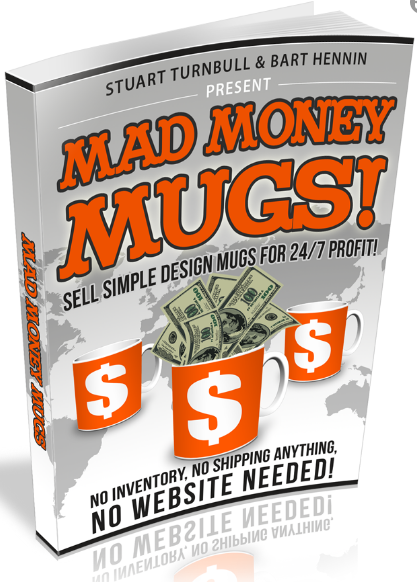 Today I want to tell you about a product that shows you how to make and sell mugs. I can’t believe how hot these are and how simple the designs can be. My niece wears a shirt that is black with white print that says, “I’m a cat” — she wears is ALL the time. Simple, but thngs like that sell. Just a FYI – this course is more than the average one you’ll see on JVZoo. He is selling it for $39.95, but I know someone else who offers a similar course for almost $200. Stuart’s courses are in depth and you can follow them step by step to set up your business or new income stream.